Gillian Flynn (GONE GIRL), Tana French (THE DUBLIN MURDER SQUAD series) and Kate Atkinson are authors often linked in discussions of talent and (dark) voice in contemporary mystery fiction. 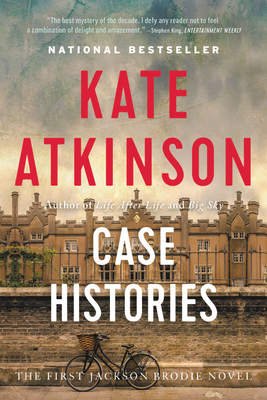 Kate Atkinson is most recently known for her two related literary novels LIFE AFTER LIFE and A GOD IN RUINS but earned her loyal fans in this unlikely series featuring Jackson Brody. Kate Atkinson is the author of six novels - Behind the Scenes at the Museum, which won the Whitbread Award for Book of the Year; Human Croquet; Emotionally Weird; CASE HISTORIES; One Good Turn; and When Will There Be Good News? - and a collection of short fiction, Not the End of the World. She lives in Edinburgh.